With FreeBSD 5.4 and above the booting procedure is slightly changed. Under ilder version of FreeBSD use boot -s option at Ok prompt. 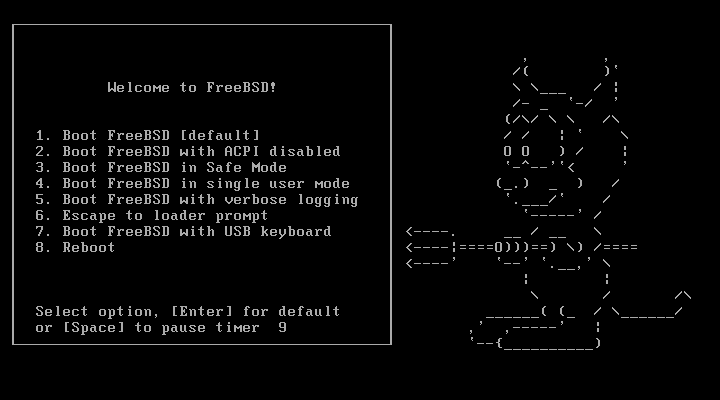 However, with version FreeBSD 5.4+ you don't have to type any command. Here is the procedure to boot FreeBSD into a single user mode to reset root password. In this tip I will explain how to boot FreeBSD into a single user mode to reset root password. Step # 1: Start FreeBSD server/workstation. Step # 2: Press Enter key at boot loader. Type number 4 key (type 4 number) to boot into single user mode. Press Enter key to boot into single user mode. Next, you will be immediately dropped into a single user mode without a root password. Step # 9: When the system start enjoy with the new password.